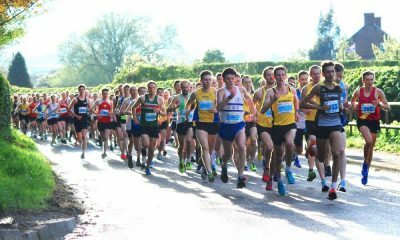 2018 went out with a bang at the Ribble Valley 10k as top class fields produced lightning fast times, while races at Tilli, Houilles, Lee Valley and Bexley also saw impressive results. 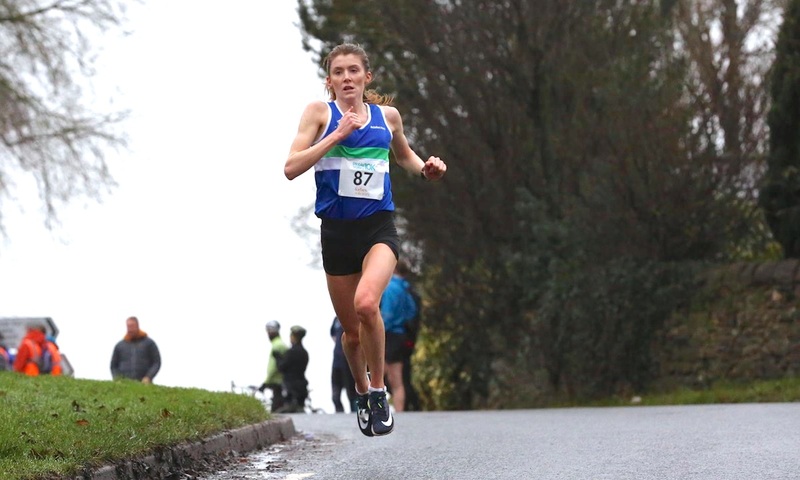 Olympic athletes took a star turn at the reliably speedy Ribble Valley 10k on Sunday (December 30), when Marc Scott and Beth Potter took the top prizes in new course records. Scott narrowly missed out on a lifetime PB when he ran 28:58 to utterly annihilate his winning time from 2017 and smash Jonny Mellor’s previous course best of 29:10 from 2011. The Richmond & Zetland star has been in the form of his life this year, finishing 9th at the recent European Cross Country Championships and fifth in the summer championships 5000m. Mellor was a worthy runner up in a still impressive 29:19. The 10k represented the Liverpool Harriers’ first race since posting a strong 2:16:09 in the New York Marathon in November. Preston’s Patrick Dever was third in 29:24, a time which saw him clock his first sub-30 minute 10k – what a way to do it, a 38 second PB! Tonbridge’s Henry Pearce was just two seconds behind in 29:26 to run an end of year PB in what was only his second outing over the distance on a correctly measured course. Looking further down the field there was an U20 rankings topping run by 17 year-old Rory Leonard from Morpeth Hariers, who ran a scintillating 30:39 to finish 12th overall. Just three seconds and one position behind was Jess Judd’s boyfriend, Rob Warner from Blackburn Harriers, while Leeds City’s Derek Hawkins was 15th in a season’s best 30:48. The previous women’s course record of 32:30 dated way back to 2004 when Olympic steeplechaser Helen Cliterhoe set the Lancashire roads alight. That time has finally been well and truly eclipsed by fellow championships performer Beth Potter, who took the women’s crown in 32:07. The Shaftesbury Barnet Scot juggles elite running with international triathlon racing, making her near-minute PB over the 10k distance all the more incredible. Potter hasn’t competed at all over any terrain since finishing 18th in the Commonwealth Games 10,000m earlier this year, but now places second on the UK rankings for 2018 behind only Eilish McColgan. Blackburn’s Jess Judd posted a lightning quick 32:42 debut to finish second and go fifth in the rankings before the year is out. Judd also competed on the Gold Coast in April where she finished 14th in the 1500m, but unlike Potter has raced prolifically since then. Gemma Steel was third in 33:53 in her first race outing on the roads in more than two months. The victorious Scott’s girlfriend, Holly Archer from Cambridge & Coleridge, is a class act in her own right, finishing fourth in a stacked field. Archer scored a new 10k PB when clocking 34:25. 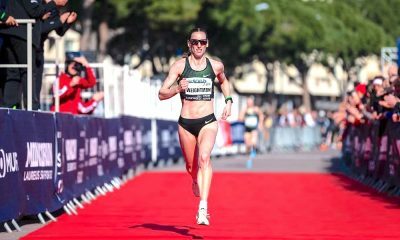 While international mountain runner and Commonwealth marathon bronze medallist Robbie Simpson’s win at the Tilli 10k in Scotland (December 29) was one that could be fairly confidently predicted – despite the Scotsman having had some time out from road racing – it was still an impressive victory for the Deeside Runner. Simpson took victory in the Scottish town’s inaugural 10k in 30:44, heading off second placed Kevin Blackney from London Western by 11 seconds. 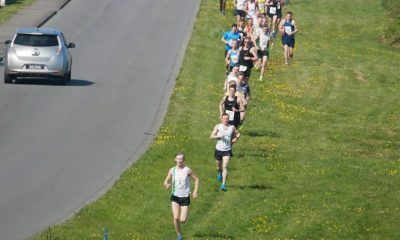 Blackney also just happens to be the Canadian Championships 10,000m runner up, so his was a great scalp to take. Dundee Hawkhill Harriers’ James Donald was a clear third in 31:32. Huge kudos must also go to the indomitable V55 ace, Fiona Matheson from Falkirk Victoria Harriers, who took the women’s top prize in 37:50. Incredibly that’s not even her fastest time this year, which came at the Great Scottish 10k where she ran a superb 37:07! Matheson was too quick for the rest of the significantly younger podium placers, with PH Racing Club’s Alison McGill (38:00) and Kristin Lownie (39:08) taking second and third respectively. The RunThrough Lee Valley Velo Park Half Marathon on Saturday (December 29) saw a fine battle at the sharp end of the men’s race between the eventual winner, Belgrave Harriers’ Konstantinos Touse and Peterborough’s Simon Fell. Fell led the race for the first 11 miles, doing well to carve as fast a racing line as possible between the runners competing in the four other events happening at the same time on the one mile loop course. Gunning for a sub-75 minute clocking as a last gasp attempt to achieve the championship qualifying mark for next year’s London Marathon following a period of injury, Fell missed the time by an agonising 33 seconds. Touse overtook Fell in the last two miles, winning in 74:57, while UTS Running Club’s Andrew Flemming took the third prize in 79:26. Eton Manor AC’s Naomi Dews was the first woman across the line after also weaving her way through all manner of competitors, including families walking the course and parents pushing running buggies. Her time of 93:18 is therefore to be highly commended. Hogweed Trotters’ V40 Sharon Wilkie took second in 96:07, while Annabel Cooper was third in 97:08. The RunThrough Lee Valley Velo Park 10k saw a glorious and still fairly unusual overall victory by a female athlete, when Agram Zagreb AC’s Sandra Srut trumped all her male competitors in a time of 36:34. She beat the second woman by nearly 10 minutes! Marc Morat Rufi’s 37:04 was good enough to take the men’s race by nearly four minutes. In the RunThrough Lee Valley Velo Park 10M race on the same course, Victoria Park Harriers’ V35 Stephen Fabes and Collingwood AC’s V45 Shun-Lai Chan were victorious in 59:14 and 79:10 respectively. 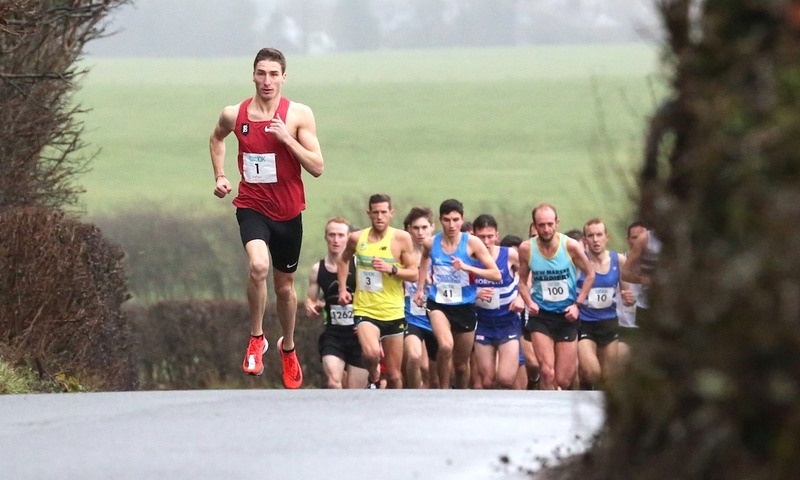 The traditional end of year Cambridge Harriers 7.5 Cross Country Championships (December 29) saw another win for the home club’s impressively consistent Dean Lacy in a time of 45:51. Lacy took the win by just four seconds from club mate and teenager, Bayley Massey, while Dartford’s Chris Biddle was third some way back in 47:21. Plumstead Runners’ Nicole Bonnett was the first woman home in 58:27, finishing about 100 metres clear of Cambridge Harriers’ V50 runner up, Susan Dixon, who clocked 59:02. Dartford’s Sally Kyle was third lady in 61:58. There was anger and confusion at the Gloucester 10M (December 30) when the leading pack of runners were sent the wrong way after the first mile. No further details were available at the time of going to press, but Dave Newport from nearby Cheltenham Harriers said ‘it was carnage’ on Twitter. Last but certainly by no means least was a European record performance and top British runs at the Houilles 10k in France (December 30). Switzerland’s Julian Wanders ran an outstanding 27:25 to win from an incredibly competitive field, bettering his previous best 27:32 from October. GB’s Dewi Griffiths was 12th in 28:49, followed by Luke Traynor in 13th in 28:51. Kieran Clements ran a 25 second PB to clock a 29:15 result in 16th, while Josh Griffiths was just one place behind in 17th in 29:31. There were some incredible times posted at parkruns across the UK over the weekend too, with Alex Yee running 13:57 and Grace Brock posting a superb 16:32 PB to head this week’s Top 10 rankings. 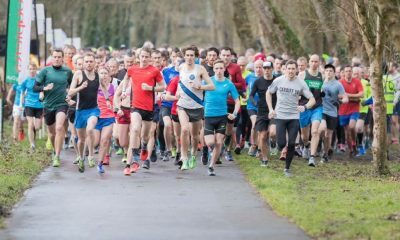 Read the full parkrun report here.